Say “I do” in our secluded wine country setting amongst lush gardens, orchards and vineyards. 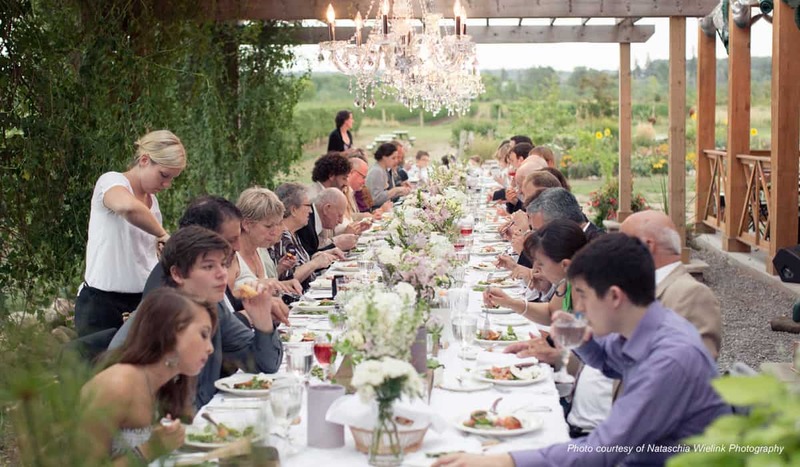 Together with Fête Events, the family at The Good Earth knows how to make each wedding unique. Bespoke menus created with Chef Andrew Thorne pair perfectly with the small-lot wines from our vineyards. The rustic chic venue is translated into the décor, with custom-built lighting and tableware elements that celebrate the vineyard. The farm is alive with energy and light – the perfect backdrop for your dream wedding. Our venue offers three charming spaces including the spacious Marquee (min 40/max 80 guests), the charming Pergola (min 20/max 40 guests) and in the Bistro (min 24/max 50 guests). 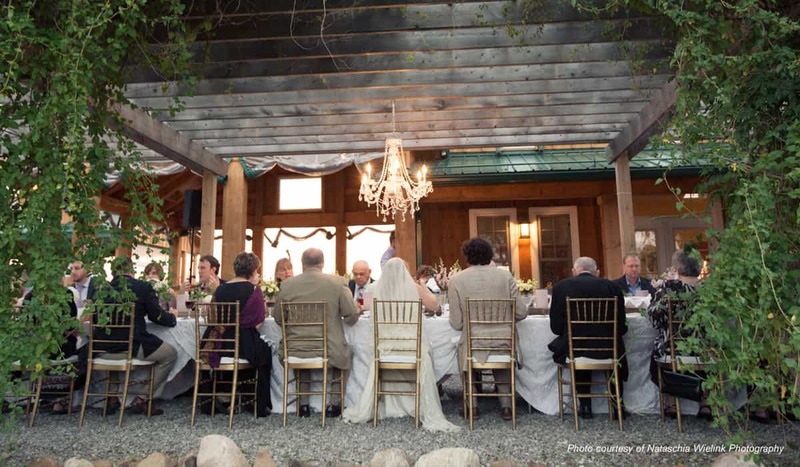 All weddings booked at The Good Earth include professional event planning services with Fête Events from pre-event coordination to day of execution and support. A variety of bespoke and Chef’s specialty menus are tailored to your taste and style. Custom bespoke and pre-fixe menu options are available either plated or family style. A children’s menu is available for your littlest guests. Dietary restrictions can be accommodated at no additional charge. Please call 905-563-6333 or email us to request our detailed wedding portfolio and pricing and let’s discuss how The Good Earth can make your special day spectacular.